I feel it's important to have a nativity scene the children can touch and to tell the story with. Tell the Christmas story every day between Thanksgiving and Christmas using the scene, then give the children a chance to explore the figures and to tell the story. Do we have them all? Happy birthday, Jesus, is what we have to say. And Jesus was his name. Our Reason for Celebrating Make Birth Announcements for Baby Jesus. Either decorate your own from scratch, make some on your computer to decorate, or "decorate & fill-out" pre-printed ones (usually can find at the Dollar Store or other discount sotre). Care for Baby Jesus--Play with baby dolls, blankets, and other baby doll accessories. Ten Little angels in that band! Announced Christ's Birth If possible, give each child a flashlight, or have a few to pass around. Show the children how to turn on the lights every time you say, "Jesus, the Light of the world." Jesus is born for me. Jesus the Light of the world. Jesus was born in Bethlehem. is to wrap up each figure in a small box. Make sure the box that baby Jesus is in is the biggest and the best wrapped. 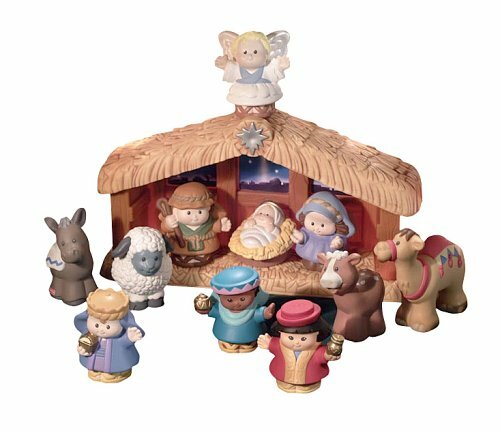 Have a present for each child to open, and as they are opened, set up the nativity scene. Save the best for last, agree with the children about how this is the most beautiful looking present. It is a free gift, it is Jesus, this is what Christmas is all about. This can be done at any-time of year. Make Christmas Cookies in the shape of this week's Christmas Symbols.